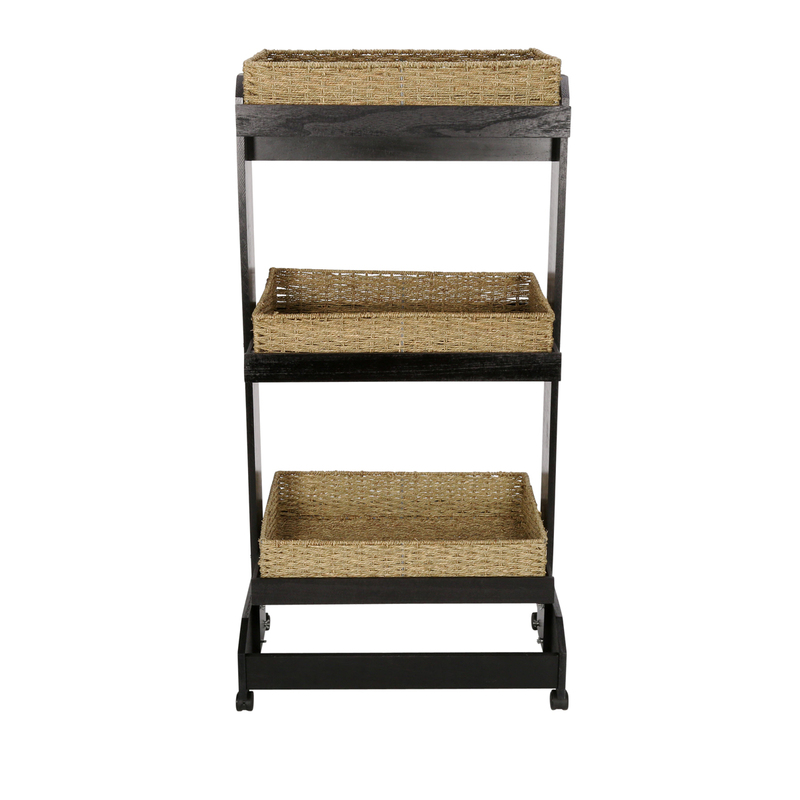 Perfect for displaying groceries, linens, and natural skincare products. The Wicker Basket Display has three square natural weave wicker baskets. Solid bottom basket trays are 23 in. w x 17 in. d x 5 in. h. Wicker baskets trays sit inside a black wood frame. Casters included for mobility. Some assembly required.